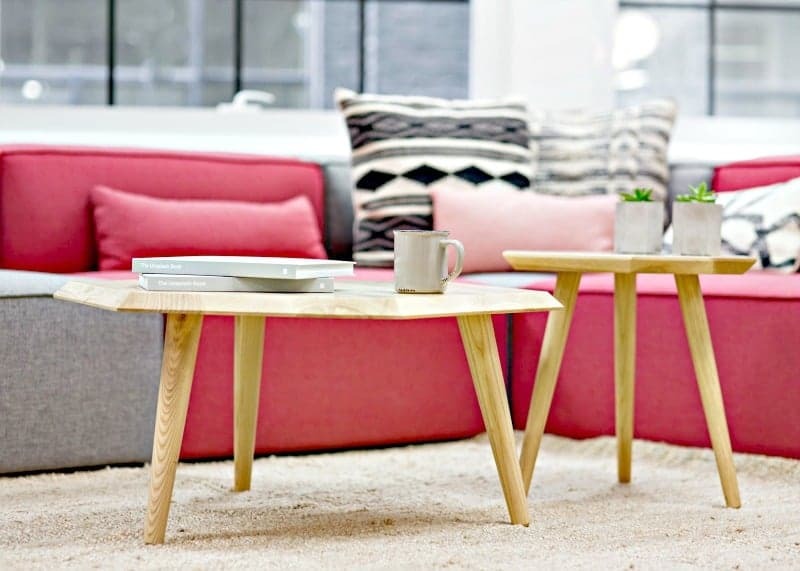 Following these tips to keeping a clean house can save your weekends! Who wouldn’t rather spend a Saturday relaxing and having fun, rather than scrubbing floors and cleaning bathrooms? Doesn’t Sunday brunch and an afternoon nap sound better than doing laundry? 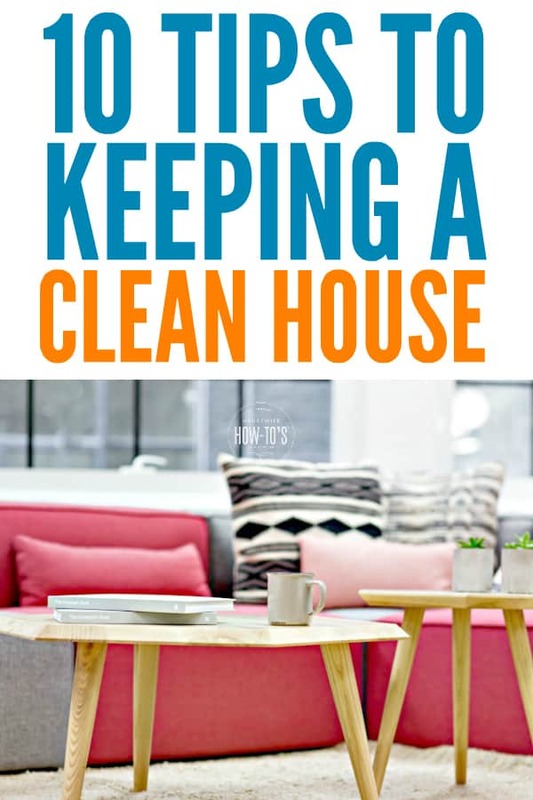 I certainly think so, and that’s why I’m sharing these tips to keeping a clean house — so you can enjoy your weekends, too! As the most visible surface in most bedrooms, an unmade bed can make the whole room look messy. If tucking in sheets isn’t your thing, switch to a <href=”http://amzn.to/1HW9Yoc” target=”_blank” rel=”nofollow noopener”>duvet with a removable cover that you can launder each week — you have to pull it up and, boom, your bed’s tidy. Need more convincing? Find out how making your bed daily can change your life. In my country Dom. Rep. there 4 things people take pride on: to keep the kitchen, bathroom, living room and bedrooms organaized. Is a habit to make your bed the moment you finish brushing your teeth. Go to the kitichen make your coffee and wash the cups. No body leave a messy kitchen over night, it is like a sin. Immediayely look around and head to the bath bathroom and remove any mess. Than after go for the livingroom.. after that the girls plan the meals. Everybody help, especially the girls. It sounds like your culture places a great value on tidiness! I own a cleaning company, so you would think that my home is spotless all the time. But its funny how my skills always seem to lack and come up short in my own home! Come home from the day and all of a sudden, my house is just as messy as the one’s I just cleaned. These are great tips to post on your fridge, kitchen window, or to set timed alarms on your phone calendar to help remind and create good habits around the house… even if you’re a professional cleaner. Thanks for the friendly reminder. There’s an old story about the shoe maker’s kids going barefoot because, after a long day of making shoes for other people, he didn’t have the time or energy to make or fix shoes for his own family. Sounds like you’re going through the same thing! I completely understand: sometimes I get so busy working on this blog or writing one of my books that my own house starts falling apart. That’s when I head back to my printable cleaning routines to whip it back into shape. It helps me remember that housework rarely takes as long as I think it will. Those are great tips! Especially if you have kids. Kids do as they see and will mirror what their parents do. Great habits to get into. Thanks for sharing. Very true. Kids raised by tidy parents might be slobs when they’re younger, but they’ll grow up knowing how to clean their own homes one day. Kids raised by slobs become adults who struggle to learn how to keep house while holding down busy jobs and raising their own kids, too. It seems like the common theme throughout these tips is to not procrastinate cleanup. That’s something that is so hard for me to avoid! I get home from work and am tired, but still have to make dinner and get my baby in bed. At that point, I’m usually just ready to sit down with a good book and relax. I guess I need to make some changes in my routine, though, so that I can keep a cleaner house. I’m liking the idea of hiring someone to take care of it for me, though! Yes, that’s the common theme with most housework, it seems. But if you make a point of taking just 10 minutes first thing in the morning and again before bed it can make a dramatic difference in your home.